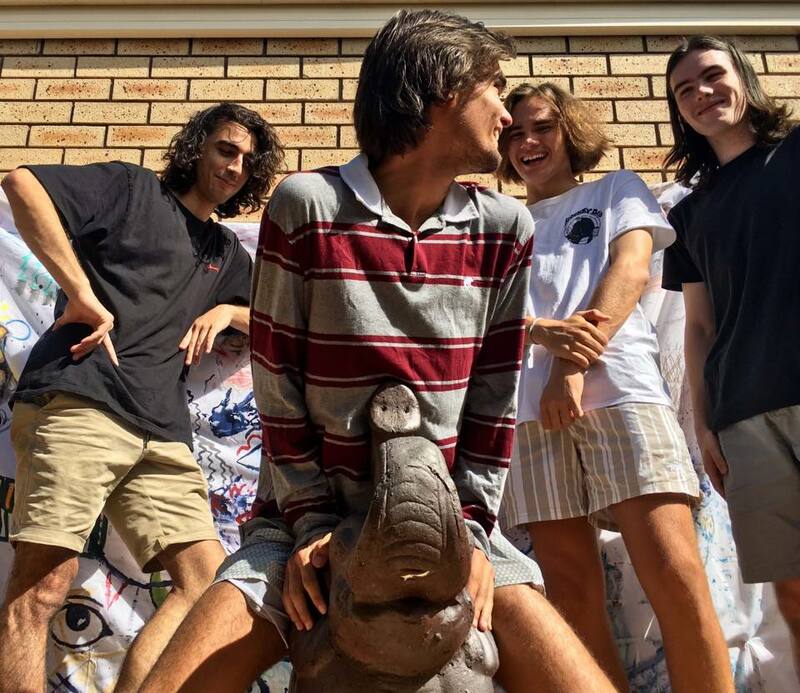 We’re stoked to premiere the new single from Perth grunge rockers Chancery Crescent - ‘Living Rooms’ is a hazy garage rock track packed with emotion and energy, reminiscent of the angsty alt-rock of the 90s. Off the back of their debut single ‘Corner’ which dropped in March, Chancery Crescent are back with another high octane cut of angsty grunge. Packed with 90’s vibes and a voice to rival Kevin Mitchell’s of Jebediah, ‘Living Rooms’ plays like the soundtrack to those teenage years where you’d waste your days doing nothing but roaming around the suburbs. Opening with some muted guitar chords and vocalist Tom Robinson’s unique vocals, the song quickly bursts open with a driving rhythm section and sprawling guitars. The track pounds away as Robinson bares his guts, and with lyrics like “the cricket’s on TV, you’ve ruined this for me”, he manages to attach a heap of emotion onto the seemingly mundane. Before we can get too comfortable, the track shifts and we’re hit with a classic 90s chorus, packed with thick guitars and howled vocals. There’s a bunch more twists and turns to come, and following an almost fake-ending, the boys jam out one more garage riff to bring things to a resolved close. To celebrate the release, we got in touch with the boys to get an insight into ‘Living Rooms' and what's coming up next for Chancery Crescent. TJ: For those who haven’t heard, tell us a bit about who Chancery Crescent are? CC: Basically just four guys from Perth. We've been around about a year, but Tom and Elliot have been playing music together all their lives, and some of our songs come from ideas that are 6-7 years old. At the start, the band was really just a few high school mates playing covers in the garage, pretty standard origin story. We've had a few line up changes since then, Anthony and Euan came in a bit later to fill some gaps, but just figured we liked our songs so why not play some gigs and see if anyone else did? What’s the story behind the new single ‘Living Rooms’? It all sort of happened really quickly in terms of writing - Tom smashed out the bare bones of the song the night after Falls Fest, Elliot had some ideas for it and then we put it all together in like half an hour at Euan’s place a week or so later. We sort of knew straight away we really enjoyed playing it and wanted to get it out and show people, and hope they like it too. It all happened really smoothly and naturally which was cool. The single packs a bit of a punch - have you had a chance to play it live yet and how’s it been received? We've played it a few times and it's definitely a highlight for us in our set. People seem to enjoy it, we reckon it really just captures everything the band is about and that shows when we play it live. You describe the track as “another sad boi breakup song” - do any other sad boi acts/songs hold a special place in your heart? Yeah, we find most of our songs are pretty full on and emotional with the lyrics and all that. We released our debut single called ‘Corner’ a few months ago and that's pretty similar. Tom's lyrics can get pretty personal and it probably stems from his obsession with The Smith Street Band - the ideas and sort of heart on your sleeve feeling behind their songs definitely influences a lot of what we do. What’s up next for Chancery Crescent? We're actually hoping to announce a run of shows soon, and just get out there and enjoy playing our stuff, hopefully to a few new faces. Check out ‘Living Rooms’ above and follow Chancery Crescent on Facebook to keep up to date with everything they've got going on.